Wishing you a very merry - non nightmare over Santa - filled Christmas. We will be back to this space in the New Year. Please be safe and enjoy the holidays with your loved ones!! Classic Santa fail!! I've got high hopes for a similar photo for next year. Have the Merriest of Christmases and happiest of New Years! Oh my gosh P! Classic! Merry Christmas friend! THE BEST! Merry Christmas, love! Nailed it!!! Love it. Merry Christmas!! 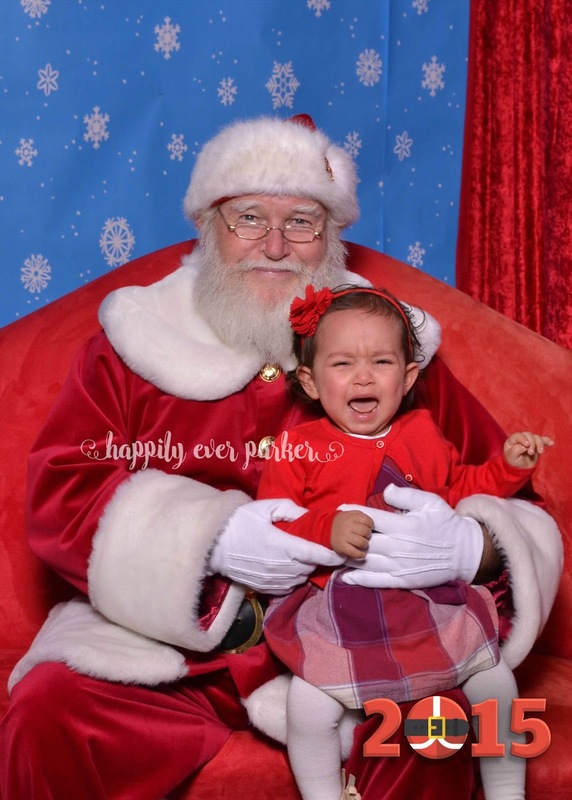 Loving the santa picture, I know its cruel but I love the iconic crying photos with santa ha! Merry Christmas! Merry Christmas!! Love the pic, ours looks pretty similar! She was terrified! Wouldn't even get near Santa's lap! Haha! Awww poor P, this is classic though, I love it! Merry Christmas to you and your family! This photo makes my heart happy. Sorry P! :) She nailed it.